The romantic ragdoll is reimagined in vinyl with Miss Mindy’s gravely gorgeous artistry. Her patchwork dress is updated with fanciful details, the large striped bow on her back perfectly matches Jack’s suit and is embellished with the grinning face of a small Scary Teddy. The beautiful bow acts as a tripod that keeps her upright and ready to display. Sally is ready to trick-or-treat with a Jack candy basket accessory held in one stitched hand. 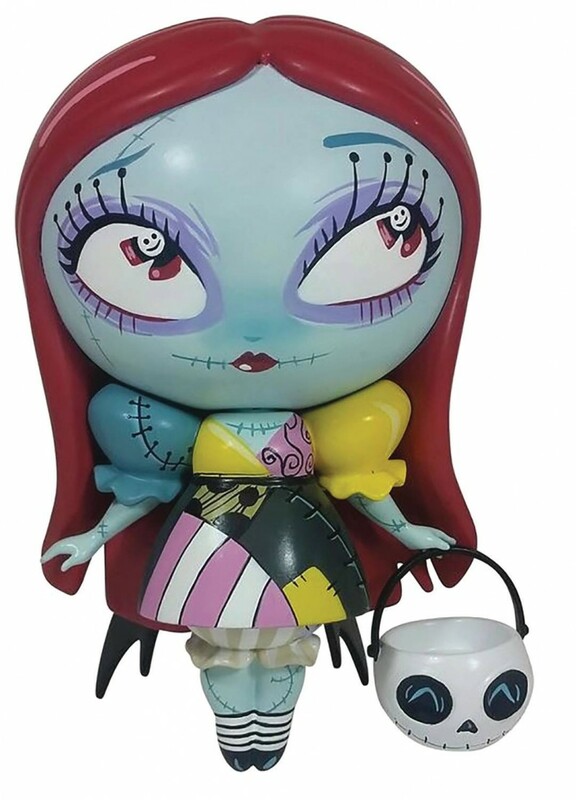 This Disney The World of Miss Mindy: The Nightmare Before Christmas Sally Vinyl Figure is a must have for Disney fans, and measures about 7” tall.